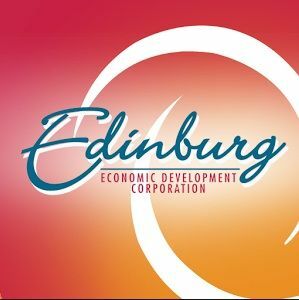 EDINBURG — The Edinburg Economic Development Corporation is down to one employee, and it’s unclear who made the decision to fire four staff members. The EDC has seen some major changes since November, when a completely new board took over. Board members tightened the budget by terminating several contracts and relocated its headquarters to Edinburg City Hall to lease the building and help cut costs. The cost-saving efforts eventually reached staff. Former Executive Director Gus Garcia was the first to be let go. Board members made the decision Nov. 28 during their second meeting as a board. Almost exactly a month later, Assistant Director Nelda Ramirez separately called two employees into her office. Laura Vela, an administrative assistant, and Letiticia Reyes, director of business development and public affairs, were terminated during the talk with Ramirez. On Monday, two others were terminated: business manager Dalila Razo and marketing specialist Jennifer Cabrera. All of them were told their dismissal stemmed from efforts to cut costs and use city services to supplement the EDC, according to a former employee who did not wish to be named. EDC Board President Gilbert Enriquez echoed the statement Monday. When asked on Monday who had made the decision, he initially implied it had come from Ramirez, the only employee left at the EDC, but on Friday he contradicted himself. Enriquez initially told a Monitor reporter on Monday the board was only responsible for the termination of the former executive director. Ramirez seemed to be taken aback by those comments during a phone interview Monday. Ramirez then said she would have to speak to EDC attorney Aaron Vela for guidance and would comment afterward. On Friday, after an EDC meeting, Enriquez overheard a Monitor reporter once again asking Ramirez if she had made the decision to cut the staff as Enriquez had previously indicated. But before she could respond, Enriquez chimed in. At that point Ramirez said she could not comment on the issue because it was a personnel matter. Enriquez agreed with Ramirez, though he did say the decision did not come from the board and declined to clarify his comments.